A few months ago I brought you a story of the trials and tribulations of finding a birthtub for the birth center. If you haven’t checked it out, you can read it here. I am happy to say that we have an Aquatica pre-ordered for the new birth suite. But what about home births? In Richmond, many folks have had babies at home with Adrianna or Nancy using the horse trough birth tub. The vast majority of folks planning home births in the US, however, use an inflatable tub. At River City Midwifery we have one of these (big) and two of these (smaller) for our clients to use at home. Sometimes people will plan to use a garden tub they have at home or skip the water birth plan completely. But most of the time, one of these is part of the equation. Inflatable tubs have some advantages over other birthing tub options - they are super comfy, somewhat translucent (better pictures) and, because they deflate, they are portable. Unlike built-in tubs they are harder to keep warm, sortof a pain to drain, but for the most part they work fine. We’ve been doing this a long time and have a system practically guaranteed for success. But, over several hundred births there have been a few….. shall we say…. Bloopers. And I am here today to share them with you. A question on a lot of people’s minds, definitely a question on more Dad Minds than Mom Minds, is the safety and reliability of the old inflatable birth tub. I would call some people (men) Tub Skeptics. 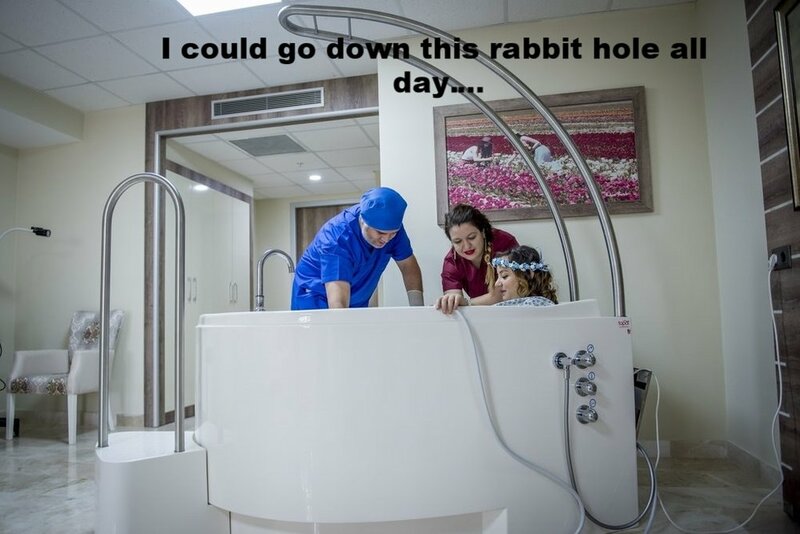 And although Inflatable birth tubs are usually filled, used, drained and deflated with no issues whatsoever, there’s always a little element of truth feeding any skeptic mind. If something is inflatable, it will eventually leak. Balloons, rafts, camping pads and birth tubs. We try to find and fix leaks before labor - we are there to hold space, not whip out patch kits and kick you out of the tub so we can take over your birthing space with solvents and sandpaper. So, if you ever see a midwife clinging to the side of an inflated tub with a bucket of soapy water (leaks make bubbles) or a stethoscope, try not to laugh. She is just trying to locate a tiny leak. If you didn’t know, soap is a great way to find a leak in something right before you decide to just throw it away. At other births we have had to refill tubs between every contraction. The mom has her contraction, doing what all laboring people do (moaning, breathing, coping) and also what most don’t (sinking toward the floor). Then, we turn on the air pump and up she goes, the sidewalls filling and raising her back to position, water sloshing out all the while. So yes, it is not unheard of for birth tubs to lose enough air so that some water sloshes over the side. You will be heartened to know, however, that never, not once, over hundreds of births, has a tub popped completely or lost air quickly enough for the water to flood out. Has this ever happened to you? Let us know if it has! When I was a student, 13 years ago, I arrived with my preceptor at a labor on a hot, swampy, July day. The dad had already helpfully inflated the fishy pool (we used to use these fishy pools almost exclusively back in the old days) with air and as we arrived, he was starting to the run the water. We busied ourselves with the usual tasks of setting up for a birth - unfolding chux (why? I don’t know), assembling birth supplies, listening to the baby’s heart rate. Eventually I went in to the bedroom to check on the birth tub. Y’all, I have a strong stomach. Nothing makes me nauseous on sight except maggots and…. 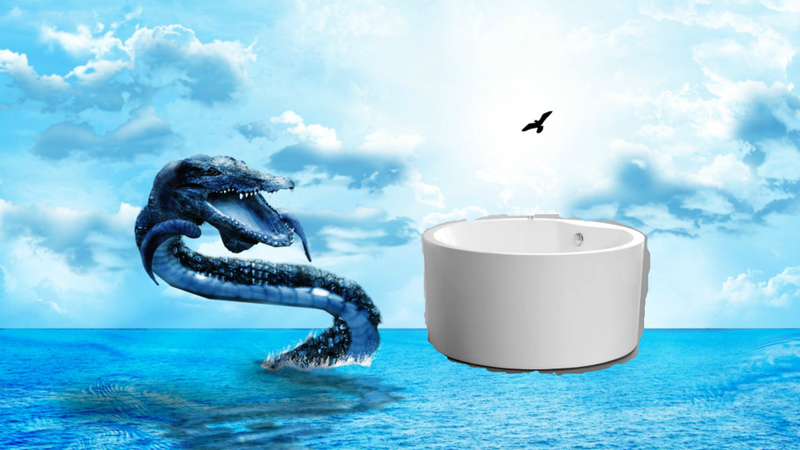 this tub. 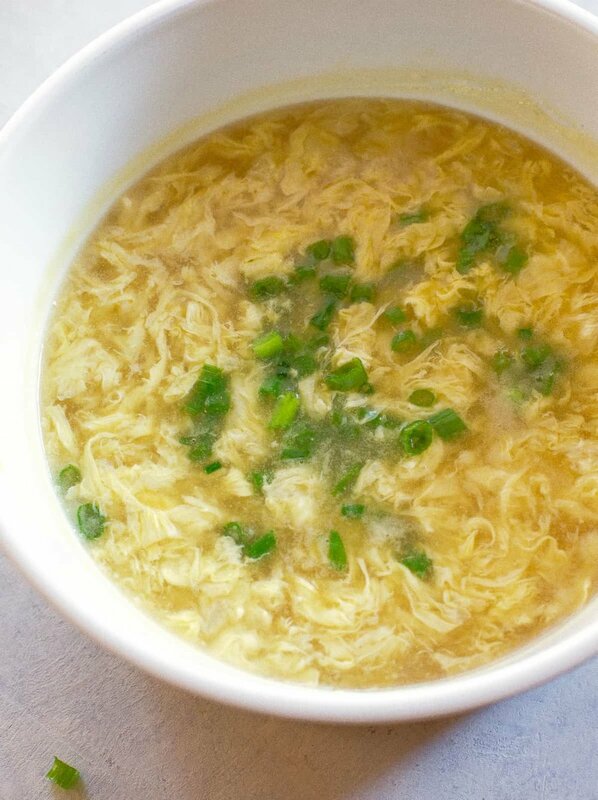 The tub appeared to be full of egg drop soup, which is not something you want or expect, birth tub wise. The water was yellow and cloudy with long, thin, gelatinous strands of egg-white looking goop throughout. If you’ve ever wondered why I am so adamant about using a NEW hose for filling the birth tub, this is why. In this instance, they had used a very, very long hose that had been sitting in the heat, full of water. What grew in it was like the SCOBYs (symbiotic culture of yeast and bacteria) you find in your kombucha bottle. Interesting, but not something you want to have a baby in. We sent the dad to the hardware store for a new hose, drained the tub, sanitized it and filled it again. Sometimes there is not enough hot water to get an entire birth tub full of water warm enough for a birth. This was always true in apartments in the city, so we started pots and tea kettles boiling when we began filling the tub. A little known fact about me is that while I am patient when it comes to big things - labor, long drives, listening to my kids talk about space, I am REALLY impatient with little things. Like, it’s extremely annoying how long it takes to pour all the water out of a tea kettle! It takes forever! It is so boring! So, at a birth one chilly April morning, I decided to pour the water out the top of the tea kettle instead of the spout. And this happened. Cats and kittens, this is where we have the real fun. A hundred gallons of bloody, sometimes poopy water. What could go wrong? Back in the old days - the aughts - we used to drain birth tubs via gravity siphon. I actually have no idea why we did this because sump pumps are not a new invention. Nevertheless, this was the apprentice’s task and it went like this: hook the hose up to an outdoor spigot and run water until it reaches the pool which, ideally, is quite a distance above the spigot. One you hear your helper shout “OKAY, ITS RUNNING” (very relaxing for the new parents, obviously) you rapidly turn off the water, unscrew the hose, and if all goes well, and gravity being a pretty solid theory, it usually did, the water will start to flow out in to the yard. The water runs slowly and it takes a very long time to drain a tub. But it will drain. Even on a good day this was a ridiculous procedure, often cold, always wet, involving tromping through bushes and mud. A bad day involved poison ivy, rain or snow. After one cozy winter birth, the kind where you arrive to christmas lights twinkling in the snow and leave as the sun peeks over the horizon, the neighbors got a siphon-related surprise. After tucking in mom and baby, after packing everything up, after pulling the hose back in through the window and winding it up in the bathroom, I got in my car and pulled down the long driveway. Only then did I notice the snow. I had drained the bloody tub on to a hill of snow. A hill that now appeared to be the site of a massacre or mauling. Sorry neighbors! Now, of course, we use sump pumps and with the aid of electricity we pump the dirty water straight in the bottom of the toilet. The sump pumps are powerful and drain the water fast. This is very effective, and also very fun for small people who enjoy hoses and water and don’t know about germs. As a bloody pool was draining in to the toilet one morning, a wee toddler friend pulled it out and sprayed bloody water all over the bathroom. She did this for several minutes before anyone noticed. Another horror movie scene. We lock doors and supervise now, when there are curious toddlers around. And here we are at, hopefully, the biggest birth tub bungle of my career (shared with permission). This was another birth in my neighborhood, a lovely first time mom on the second floor of a two family city building. She labored beautifully, and had her baby in the tub quickly and easily. In fact we had not finished filling it when she had the baby so the end of the hose was still in the tub, and we left it there, busy with other tasks, and maybe a little tired. Since the mom was small, we hadn’t used as much water as usual - it was a pretty concentrated mess as far as birth tub water goes. Baby poop, lots of blood. But normal stuff. We got her and her sweet baby girl to bed and did the tasks of immediate postpartum: watching, waiting, cleaning. The hose had been screwed in to the kitchen sink faucet and I unscrewed it in order to wash my hands. You probably know where this is going and I am sorry to say you are right. 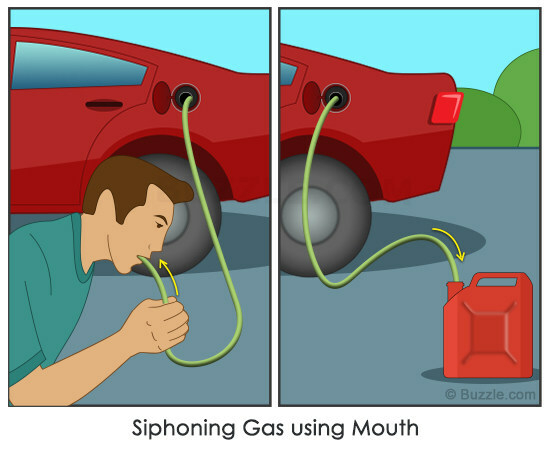 Remember the siphon and the laws of physics? At some point, the end of the hose was knocked out of the sink and on to the kitchen floor where it proceeded to drain the tub. By the time I made it back in to the kitchen there was two inches of bloody, poopy water on the floor. This seemed bad. My apprentice and I frantically sopped and mopped, pushing water in to buckets with a broom and dumping it in the bath tub. The water has seeped in to the floor boards and under appliances. It was an endless, multiplying mess the way blood can be. Everywhere. We somehow got it cleaned up, disinfected the floor, and finished our midwifery work and went home. I went home thinking, well, that was bad but, LESSON LEARNED, to always take the hose out of the tub. That night I packed a roll of duct tape in the birth bag, vowing to also always tape the hose to the sink. Several days later the landlord of the building called me. In the only stroke of luck in this story, he was the client’s father in law. So it was with sadness and not anger that he told me what had happened. I googled “bloodbath” so you don’t have to. The people who lived downstairs had been on vacation during the birth. When they came home, they were surprised to find their kitchen ceiling red, brown and crumbling wetly. They were also surprised to find all of their many things in the kitchen, soaked in, and in the cases of dishes and pans, containing, old bloody birth water. The landlord told me that, not only was the ceiling ruined, but that the people were “sort of hoarders”. They had dozens and dozens of kitchen items that were now, according to any reasonable person, ruined. Also, they were so traumatized, they decided to move. No, it really does not get much worse than this. I did pay for their items. But, after a small investment in bleach, I also kept some of those items. So, if you ever come to my house for cookies, know that they were made with love…. and a kitchenaid mixer that was once covered in bloody birth water.